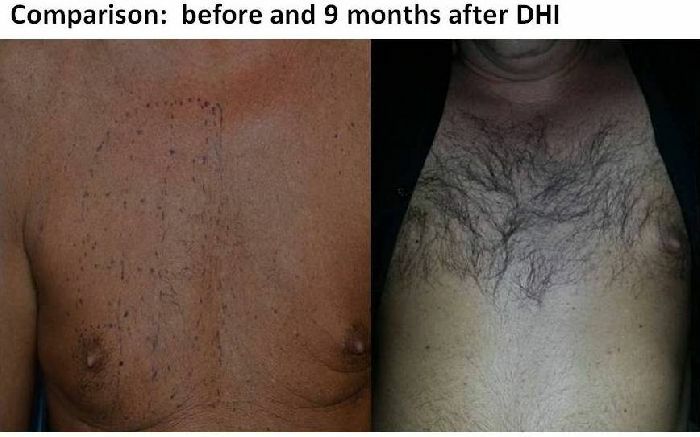 The following scalp to chest implantation case was performed 9 months ago at DHI Athens Clinic by the DHI Medical Team. 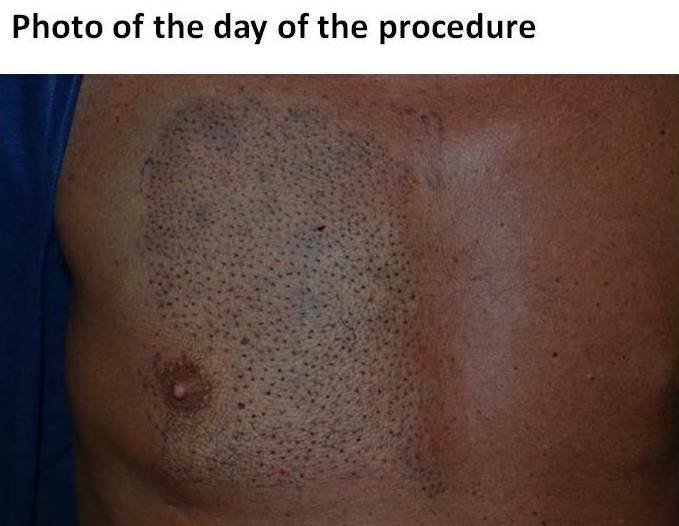 It is an unusual case as the patient wanted a hairy chest and have asked us to implant hairs from his scalp to his chest. 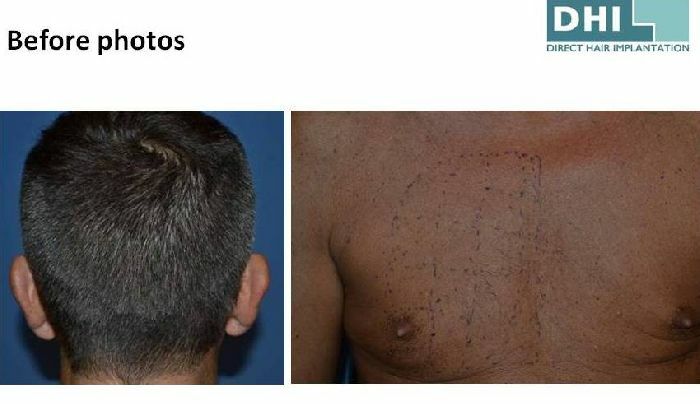 As you can see from the photos, the angle, direction and generally the procedure had some unique characteristics. cool, never seen this before.